115 of these locomotives saw service between 1916 and 1918 on the Western front, under British, American and Canadian control. Our model has a resin body, with an etched nickel-silver chassis and correct pattern steel rimmed wheels. 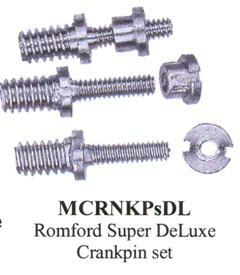 Large fittings are in White metal, with small parts made from lost wax brass or nickel-silver castings. SRL01/P with Portescap RG4 motor/gearbox <Actinic:Variable Name = 'motorised'/> NOTE: Limited number available. SRL01/PA with Mashima motor & gearbox, (motorised). 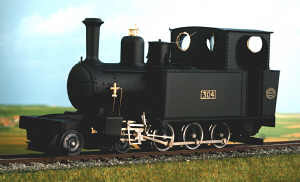 See site's Home page for a larger view of this loco. Our model has a resin body, with an etched brass chassis and correct pattern steel rimmed wheels. Large fittings are in White metal, with small parts made from lost wax brass castings. 280 of these locomotives were built by Baldwin of America for the French Government during WW1. Our model has a resin body, with an etched nickel-silver chassis and correct pattern steel rimmed wheels. Large fittings are in White metal, with small parts made from lost wax brass castings. SRL02-PA with 2 Mashima motors & gearboxes. SRL02-PB with 1 Mashima motor & gearbox..
SRL02-S without motor or gears. 950 of these petrol tractors were in service during the great war, supported by 327 40hp versions. 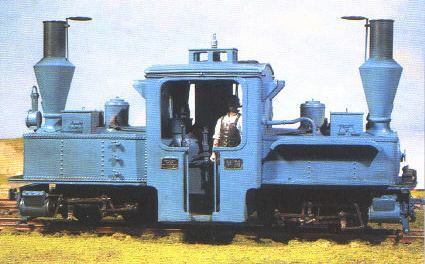 SRL03-S Without motor-bogie but with wheels. (No chassis, but template supplied). SRL03-P With Hanazono "SPUD" power unit. Shown here with 4 wheel tipper (SRW06 - not included). Figure (not included) is SMB18D or SMB18E which has to be modified. W.D. Type D bogie 12 ton dropside open wagon. This wagon is supplied with bogies. Bogies are also available seperately as SRWB01. Wagon couplings are also available seperately as SRWC01, (pack of 4). 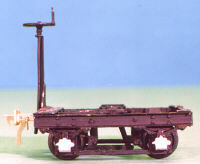 WD type E Bogie 12 ton dropside well wagon. 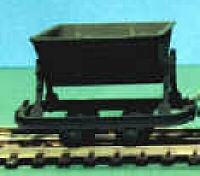 WD Type F Bogie 12 ton well wagon with stanchions. WD Type H Bogie 1500 gallon tank wagon. 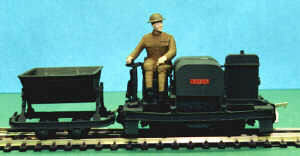 WD four wheel wagon bogie, with wheels. (Pack of two).